Share Valuable Informations with the Navodaya Community. 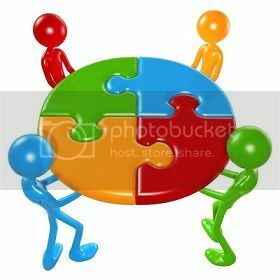 Create a Topic for Discussion or reply your views on the Posted Topics. Jawahar Navodaya Vidyalayas have come out again this year with the best scores in the board exam. Hat's off to the well qualified and dedicated teachers and the brilliant students of Navodaya. Among all the schools including Kendriya Vidyalayas, Delhi Public Schools and other private and govt aided schools, Navodaya has been scoring the best score for years. While Jawahar Navodaya Vidyalayas continue to lead in pass percentage in CBSE's class XII exams, it witnessed its first-ever dip in the past five years. Except for Kendriya Vidyalayas, almost all institutions have seen a marginal decrease in the institution-wise pass percentage. Kendriya Vidyalayas have recorded an increase of 0.71% from the pass percentage of 2011. JNVs, despite the marginal decrease, continue to post the best pass percentage with 95.96%, a 0.91% decrease from 2011. KVs have come second with 94.13%. Overall, the JNVs and the KVs have had the highest pass percentage for the fifth consecutive year. The all-India pass percentage was at 80.19%, marginally down from 80.88% as compared to last year. Across the country a total of 815,749 candidates registered for the board exam this year, and increase of about 5.94% candidates over that of last year. Important Information for Students who want to apply for reevaluation. For the first time, photocopies of the evaluated answer books will be provided to candidates who make a request. According to the CBSE statement, the step comes following a decision of the Supreme Court in August last year in that regard. Applications for the photocopies of the answer books will be accepted by the Board from 31st day of the declaration of the result on the Internet. Detailed modalities will be hosted on the website shortly, it said. The statement said the first chance compartmental examination will be held on July 16, 2012. Regular candidates will route their requests through the head of institution. It said forms for verification of marks will also be available on the Board¿s website www.cbse.nic.in. For urgent verification, applications can be made on-line within 5 days from the date of declaration of result and the fee will be Rs 300 per subject. Application can be made either online from the 6th day or offline within 21 days from the date of declaration of result, the fee of which will be Rs 200 per subject. The fee can be remitted either in cash or through demand draft favouring Secretary, Central Board of Secondary Education payable at the respective regional offices. Congratulations to all the Navodaya Students for their outstanding performance in making Navodaya top again! Image Courtesy : IE Photo: Amit Mehra, IBN Live. Sources: Times of India, IBNLive, Indian Express, TOI. Soon there shall be a common entrance test for entrance to IITs and NITs. In the recent proceedings Kapil Sibal, the Union HRD Minister has declared that very soon the national level common entrance test for science and engineering undergraduate (UG) courses will be introduced. The aim of launching national level common entrance test is to draw a national level merits list of students based on the class XII marks and the proposed common entrance test. After much resistance, the IITs have agreed to join the ministry’s bid to have a common entrance examination for all engineering colleges in the country. This only happened after there was an agreement that several elements of IIT-JEE will be part of the new national common examination. However, a final meeting of ministers will be held before forwarding the proposal to Central Advisory Board of Education for its approval. The objective of introducing a common entrance test is to ease students from the pressure of writing several entrance exams. It will be conducted by a joint committee of IIT and Central Board of Secondary Education (CBSE), which conducts AIEEE, and will cover all central government engineering colleges and those in seven states such as Haryana, Himachal Pradesh and West Bengal, which had opted to take students on the basis of the AIEEE score. Equal weightage to class 12 marks and entrance exam score. Some syllabus of IIT-JEE which was not included earlier in AIEEE will be included in this exam. Reduce the influence of coaching centres(As students shall have to focus on class 12 marks as well rather than only preparing for entrance exam). Reduce the burden of appearing for many entrance exams (Typically a class 12 pass out appears for at least 3 different entrance exams: A state entrance exam, AIEEE, IIT-JEE). 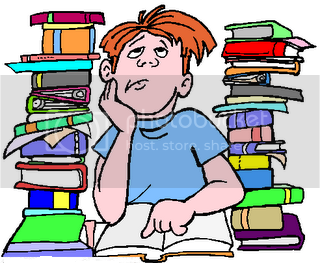 The syllabus will be tougher than AIEEE but easier than IIT-JEE. This format is definitely going to be favourable for Navodaya students. Earlier the number of selections from Navodaya in IIT's and NIT's were low despite the fact that Navodaya is the best performing school in India(In terms of pass percentage) because there was no coaching facility for Navodaya students while other students had coaching facility and they prepared only for entrance exams ignoring class 12 performance. 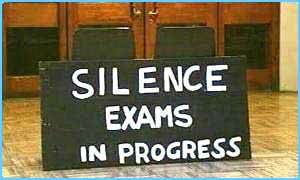 This won't be the case anymore since class 12 performance will have 50% weightage in this exam. Those who focused only on entrance exam will have to prepare for class 12 exam as well. Sources : Hindustan Times, The Hindu. Jawahar Navodaya Vidyalaya, Devangare has won seventh e-India-2011 Award which was organised by the department of Science & Technology (DST), Information Technology (IT) and Communication Technology (CT)and All-India Council of Technical Education (AICTE, New Delhi). JNV principal Ammal C, who received the award at a programme in Gandhinagar of Gujarat, said the award is in recognition of their attempt to address community-related problems, especially that of women so they are made self-reliant. Besides classroom teaching, the students have been motivated to involve in community-development programmes, she said. Eight batches of students from high school, who have taken up community projects under teacher's guidance, have created awareness among the locals about their problems and the possible solutions. The projects were implemented using digital-learning mode under information and communication technology (ICT) as part of e-India contest. The programme was organized by the department of Science & Technology (DST), Information Technology (IT) and Communication Technology (CT)and All-India Council of Technical Education (AICTE, New Delhi). The students have worked on eight different projects, including the one related to hard water. "The presence of high fluoride content in groundwater had prompted us to recharge the groundwater through rainwater harvesting," said teacher-guide A Ravi. Many Congratulations to the Students and Teachers of JNV Devarahalli. May other Navodayas draw inspiration from them in realising their duty towards the nation. Post your comments below. The Right of children to Free and Compulsory Education (RTE Act) ensures that every children between the age of 6-14yrs have the fundamental right to get free education in "neighbourhood schools". Does this mean that any child who lives near a Navodaya has the right to get admission in Navodaya ? Even without passing the entrance ? The Right to Education Act amendment was done in 2009 and has come into force from April 1st, 2010. Previously RTE has been a part of the directive principles of the State Policy under Article 45 of the Constitution, which is part of Chapter 4 of the Constitution. And rights in Chapter 4 are not enforceable. For the first time in the history of India we have made this right enforceable by putting it in Chapter 3 of the Constitution as Article 21. This entitles children to have the right to education enforced as a fundamental right. Right to Education. The Act makes it mandatory for every child between the ages of 6-14 to be provided for education by the State. This means that such child does not have to pay a single penny as regards books, uniforms etc… too. Any time of the academic year, a child can go to a school and demand that this right be respected. Private education institutions have to reserve 25% of their seats starting from class I in 2011 to disadvantaged students. Strict criteria for the qualification of teachers. There is a requirement of a teacher student ration of 1:30 at each of these schools that ought to be met within a given time frame. The schools need to have certain minimum facilities like adequate teachers, playground and infrastructure. The government will evolve some mechanism to help marginalized schools comply with the provisions of the Act. There is anew concept of ‘neighbourhood schools’ that has been devised. This is similar to the model in the United States. This would imply that the state government and local authorities will establish primary schools within walking distance of one km of the neighborhood. In case of children for Class VI to VIII, the school should be within a walking distance of three km of the neighborhood. Unaided and private schools shall ensure that children from weaker sections and disadvantaged groups shall not be segregated from the other children in the classrooms nor shall their classes be held at places and timings different from the classes held for the other children. Navodaya Vidyalaya Samiti is appealing for its exclusion from the RTE act since it falls in a separate category. The reasons why Navodaya Vidyalayas should be excluded from the jurisdiction of RTE is that Navodaya Vidyalayas start from class VI and not class I. The schools, located in all districts, have 75% seats reserved for rural children. Seats are also reserved for children from SC and ST communities in proportion to their population in the district, but not less than the national average. One-third of the seats are for girl students and 3% of the seats are for disabled children. Till class IX there is no fee, and from IX to XII, Rs 200 is charged per month. NVS argued that since these schools cater primarily to poor rural children, there is no reason for it to give 25% reservation. NVS had sought HRD ministry's opinion after it received notice from the National Commission for Protection of Child Rights last year for flouting RTE norms. HRD ministry had sought the opinion of former Chief Justice of India A S Anand, who said Navodaya Vidyalayas are special category schools. Later, even the Attorney General also gave a similar opinion. The law ministry while agreeing with the AG's opinion had said instead of issuing a notification that Navodaya Vidyalayas fall in a separate category, the RTE Act should be amended. However, the ministry was of the view that the Act does not need to be amended since section 2(p) puts Navodaya Vidyalayas in a specified category along with Kendriya Vidyalayas and Sainik Schools. Even though the HRD Ministry holds the view that Navodaya is an Exclusion to RTE, the recent legal procedures (portrayed below) indicate the insufficiency of the argument and indicates towards the need of amendment to RTE Act ! The Story of RTE, JNV and RTI ! A boy aged 11, Krishan Kumar Jha has filed a case against Navodaya Vidyalaya for not giving admission to him ! In September 2011, Krishan, through his father Pradeep Kumar Jha, a trader, filed a case against the Navodaya Vidyalaya Samiti, the education ministry and the Centre. Krishan's argument in the court was that he was competent for admission in Class VI in any school but they chose Jawahar Navodaya as it was located near their house. And as per the RTE Act he ought to get admission since this is his fundamental right. Krishan's petition says “It is very clearly stated in the law that all children should get the opportunity to study in a school near to his home so that every child can be educated. It also states that a student cannot be denied education in any school. Navodaya disregarded all these rules in denying the admission,”. The court judge Ajay Pandey announced its verdict on 3rd December saying “The plaintiff (Krishan) has a fundamental and civil right to get admitted into the state-run education institution in his nearby locality. In the facts and circumstances, the plaintiff is entitled to admission in the school,”. The Judge has asked the school authorities to admit Krishan immediately. The district judge said the child had taken the correct step by approaching the court to ensure that his fundamental rights were not violated. “A minor had to look to a court of law to get his right to education. For this, his education suffered for six months. To get admission in the VIth standard, a child need not have some special qualifications. But despite that, the school played with the future of the child. Now, the school should admit him without any further delay,” judge Pandey said. The Joint Commissioner, Administration of Navodaya Vidyalaya Samiti Mr. Alok Verma said, "I have no idea about the case. The only thing I can say is that no child has ever been denied admission in our schools if he met the criteria set for admission. Every student is admitted on merit and if this child has been denied a seat in the school, that means he has not qualified on merit. There is nothing personal or political about it. There is absolutely no question of any discrimination,”. However, Krishan’s fight is not over yet. “The court cannot tell us what to do. We will appeal in the higher court,” Verma said. It has been considered by the ministry of human resources that Navodaya Vidyalayas belong to a different category of Schools and they are not included under the RTE Act. but the recent proceedings in the Tis Hazari Court disproves the explainability of such a notion. A concrit step to preserve the principles of Navodaya Vidyalayas would have been if the RTE Amendment had excluded Navodaya from the act. It is clear that the issue of RTE Act and Navodaya Vidyalayas has not settled yet. Previously it has caused a delay in the entrance exams of Navodaya Vidyalaya. Read More about the cause of Delay of Navodaya Entrance Exam Here. The 17th Annual The Hindu Young World on the spot painting Competition 2011 was held recently at Bhartiya Vidya Bhawan, New Delhi. The competition was judged by eminent Navodaya Art Teacher Mr. P K Roy. The eminent artist has been awarded Navodaya National Award in 1999 and his success trails with multitudes of achievements. Mr P K Roy has organised more than 11 solo shows at national level and various group shows. The Gaddi, a pictorial book by Mr. Roy, on Gadia Lohar people has been published this year. Mr. Roy is currently teaching Art in JNV Gurgaon Haryana. We are grateful to have such a talented teacher for Navodaya. WIshing all the best for his future endeavours. Navodaya Students from Navodaya Vidyalaya Jharkhand and JNV Hazaribagh have been selected to attend the Japan-East Asia Network of Exchange for Students and Youths (Jenesys) Programme 2011. The program is a part of international exchange program and is meant to deepen mutual understanding among young people who will assume important roles in the next generation in their respective countries like Australia, China, India, New Zealand and the Republic of Korea. Rimjhim Kumari from JNV Gumla and Akash Ranjan of JNV Hazaribagh will represent the state at the Japan-East Asia Network of Exchange for Students and Youths (Jenesys) Programme 2011. Rimjhim, a Class XI student of Jawahar Navodaya Vidyalaya, Masariya, Gumla, Jharkhand, she is expected to study and understand the recent disaster that rocked Japan along with other students selected. "I am very delighted to know I was selected. I came to know about it when my father got a call from JNV Samiti, New Delhi, that I was chosen for a study tour from my school and I have to get my passport ready," said the girl. The National Youth Commission in conjunction with the Japan International Cultural Center (JICC) of the Embassy of Japan and the Japan International Cooperation Center (JICE), has invited Student Ambassadors and Supervisors to the “10-day Visit to Japan Programme” as part of the Japan-East Asia Network of Exchange for Students and Youths (JENESYS) Programme. 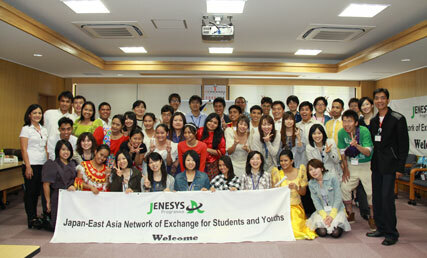 The JENESYS Programme, funded by the Japanese Government and in partnership with the ASEAN Secretariat, is to deepen understanding of the different facets of the Japanese society including politics, diplomacy, economics and culture and to form the basis of future vision and construct firm solidarity among Asian countries which will promote mutual understanding of the future generation of ASEAN and East Asia Summit member countries. Daughter of a health department employee, Kaushalendra Kumar, Rimjhim made a strong academic base during her migration study at JNV Koraput in Orissa in Class XI and completed with grade 9.8 in Class X. "Among the two girl student I was selected because of my performance in Class IX. I was asked to fill up the form. It will be an unforgettable moment for me when I take part in the Jenesys meet," she beamed. Apart from her, Akash Ranjan of JNV Hazaribagh has also been selected. Over 200 students from various schools have been chosen for the Japanese student exchange programme as a part of international exchange program. The Navodaya Club Congratulates Rimjhim Kumari from JNV Gumla and Akash Ranjan of JNV Hazaribagh for bringing glory to Navodaya. Wish them on their achievements by commenting below. Click on the share buttons at the bottom to share the story with your friends. Navodaya Teachers are not only the teachers for the students! They simultaneously are the fathers, mothers, mentors, solicitors, advisors, inspirers, caregivers, pacifiers & friends to a Navodaya Student. With all these roles to play concurrently along with being a familyman, is it humanly possible to reach upto the expectations of being an ideal teacher ? Navodaya Vidyalayas are the exceptional institutes in many ways, one among them is that they are a chain of co-educational, compulsarily residential schools ! Here every ward needs to stay in the hostel even if his home is near by ! There is a purpose behind the visionary gurukul system of strict residentiality in an educational system. Since Navodaya hosts tender minds, from as young as an eleven year child to as frickle as a juvenile adolescent, the care and supervision of wards is a tedius task. So, being strictly residential schools, it is expected that Navodaya Vidyalayas should be having an evolved system of hostel discipline regulation. But it is very unfortunate that this important job of hostel supervision has to be managed by the already over burdened teachers of Navodaya ! To make the situation more grave, some Navodayas have the post mergering of teachers with Matrons ! It is undeniable that Navodaya teachers devote all of their time for the welfare of the students. Starting at 5am in the morning for supervising morning study hours of board students, morning assembly and classes from 7 to 1pm, remedial classes in the afternoon, then evening assembly and study hours and even post dinner visit to hostels to help the students with their studies, a Navodaya Teacher is; with the students, for the students, all the day ! This is a system which is very unique to Navodayas and is an aid to student teacher bonding. However, it should be considered that over burdening of teachers with unproductive activities might affect the efficacy and even the dedication of the teachers ! An ergonomic solution to this would be to let teachers do what they are best at, and which would be to teach and guide the students. Apart from the jobs of warden and matron, in some Navodayas teachers are assigned for activities such as storage & distribution of usables like soap, toothpaste, register, shoes & uniforms to the students; manager of canteen commodities; in charge of stage decoration, cleanliness in charge of campus, bank transaction in charge, purchase in charge for school and of course as a roll call in charge in dinner gathering and head count in charge even while the students go to bed ! It is not uncommon to hear that hostels in Navodayas are not in excellent management ! The most recent citation would be the escape of students from Jawahar Navodaya Vidyalaya (JNV) in Gurdaspur on Aug 18th 2011, and missing of an 8th class boy from a Navodaya on 30th August 2011 leaving a suicidal note complaining of un bearable ragging in the hostel ! Similarly there have been unsatisfaction among the students regarding the poor quality of temporary teacher recruitment by Navodaya Vidyalaya Samiti. It is undeniable that the quality of teaching would suffer if the teachers are to be over burdened with activities unrelated to teaching, and it can be expected that the success rate of Navodayas would soar up even higher if the teachers were to do only teaching ! The Navodaya Vidyalaya Samiti has been approached with requests for special recruitment of wardens and matrons in Navodayas however it could not be realised till yet. There has been no mention about any such consideration in the Official Website of Navodaya Vidyalaya Samiti either ! An online petition has been filled appealing Navodaya Vidayalaya Samiti for Recruitment of Separate Warden and Matrons for the safety & welfare of the students and betterment of the teaching quality in Navodayas. Click Here to visit and sign the Online Petition. Hopefully NVS would not find it a petty issue anymore ! "IT is compulsory to appoint warden to utilise maximum ability of teacher towrds teaching. "- Laxmikant Sharma, Etawah, UP. "BEING A HOUSE-MASTER IN NAVODAYA VIDYALAYA AND TO BE A FRIEND ,PHILOSOPHER AND GUIDE OF THE STUDENTS IS A NOBLE IDEA , BUT THE PRINCIPALS FORCE HOUSE-MASTERS TO BECOME ROLL-CALL MASTERS AND SERVANT OF THE STUDENTS WHICH IS REALLY PAINFUL AND MEANINGLESS. SEPARATE WARDENS MUST BE APPOINTED TO DO THE REGISTER WORK AND ROLL-CALL WORK. "-Pradipta Kumar Pal, Dhenkanal, Odisha. Navodaya Vidyalayas could evolve as the best school with even better results if the teachers could be given a chance to focus more on teaching. The inclusion of various non academic activities in their job profile over burdens the Navodaya teachers and recruitment of separate Wardens and Matrons is a very hopeful solution for betterment of teaching quality and student care in Navodaya Vidyalayas. You are encouraged to sign the Online Petition Here to appeal to Navodaya Vidyalaya Samiti to take appropriate measures at the earliest ! Use the buttons at the bottom of screen to share this article ! Login to post your comments below. Navodaya Vidyalaya is the Best Performer in CBSE Board Exams and Its students are excelent in academics and overall personality and character. It is a well known fact that Navodaya Vidyalayas are among the pioneer institutes in India. Who does the credibility go to ? Are the teachers in Navodaya the Best ones among them all ? Or Is it the students who have been bringing fame for their School ? NAVODAYA VIDYALAYAS have 70% TALENTED STUDENTS Whereas the percentage of TALENTED TEACHERS is just 30%. It is a very unfortunate scenario where the contibution of teachers towards the success of students is non appreciable. Though it has been claimed that now a days selection of teachers has improved this percentage a little but teachers need better orientation and training for a talented /coed /residential group. Navodaya Vidyalayas, being co-educational residential schools, where there is no tution, coaching or any external academic influence, the teachers are the only source from whom students would learn. But the unfortunate proportion of non talented teachers who are engaged in politics among teachers, who are busy showing their unquestionable power, are the main factors in the way of intellectual development among the talented Navodaya Students. OUR First NVS Commissioner Mr. S.K. Sarma said ...." OUR PRINCIPALS AND TEACHERS SHOULD BE RECOGNIZED AND STAND RARE IN ANY GATHERING OF PEOPLE PERTINENT TO EDUCATION AND IDEALS TO OTHERS RELATED ....AS OUR STUDENTS ARE." ....His expectation abt students has come true but we are yet to see the same for teachers. While Navodaya Vidyalaya Samiti has been portraying its success through the success of its students, it needs to be drawn attention into the fact that this success could even go much higher, if it were to focus on quality of teachers. What is Being done to Improve the Quality of Teachers ? The recent initiative towards standardization of primary teachers by CENTRAL TEACHER ELIGIBILITY TEST (CTET) by CBSE is very appreciable. Aiming to improve teaching standards under the RTE ambit, CBSE introduces a national level teacher eligibility test for teacher recruitment. The first ever central teacher eligibility test (CTET) was conducted on June 26 by the Central Board of Secondary Education (CBSE). This test was the qualifying exam for CBSE teachers intending to teach Classes I-VIII. What is CTET ? How Will It Help Navodaya Vidyalayas ? The National Council for Teachers' Education (NCTE) had mandated a single eligibility test be held for teachers across the country. Clearing this test will now be mandatory for applicants who wants to teach at central government-run schools like Navodaya Vidyalayas. This was made mandatory under the Right To Education act (RTE) and the CBSE was asked to conduct the exam. According to the CBSE, the eligibility test will “help bring national standards and benchmark of teacher quality in the recruitment process.... It would induce teachers’ education institutions and students from these institutions to further improve their performance standards”. How Easy Is the Test for Teachers ? All questions in the CTET will be multiple choice and there will be no negative marking. There will be two papers in the test 150 marks each — Paper I for teachers for classes I to V; Paper II for teachers for classes VI to VIII. Only the teachers securing 60% and above will be issued the CTET certificate. Mark sheets will be given those who have failed to qualify.Candidates who score 60 per cent or more in the test exam will be considered as pass.Significantly, there would be no restriction on the number of attempts a person can take for acquiring a CTET Certificate.A person who has qualified CTET may also appear again for improving his/her score. The CTET will be held annually and its certificate will be valid for seven years. Apparently this Centralized Teachers' Eligibility Test will help in improving the quality of teachers in Junor Classes of Navodaya Vidyalaya. However the main chunk of students who bring the fame for Navodaya are yet to be provided with Quality Teachers ! May be Navodaya Vidyalaya Samiti would start realizing the importance of teachers in Education and Navodaya will soon have some talented teachers ! Sources: IBNLive, Indian Express, TOI. Did You Enjoy The Article ? Post Your Views, Comments and Suggestions. Use the Share Buttons at the bottom bar to Share the Story with your Friends ! National Youth Parliament Competition Winner ! The Winner of 14th National Youth Parliament Competition, Jawahar Navodaya Vidyalaya, Mysore, Karnataka received the NEHRU RUNNING SHIELD AND TROPHY For Standing First at The National Level. The Award Distribution Ceremony as well as an restage of the Award Winning Mock Parliament was held on 22nd July, 2011 in Mavalankar Auditorium, New Delhi. National Youth Parliament Competition are Organized by Ministry of Parliamentary Affairs, Govt of India for Jawahar Navodaya Vidyalayas, Kendriya Vidyalayas, Delhi Schools and Various Colleges and Universities. Year 2010-11 was the 14th National Youth Parliament Competition for Jawahar Navodaya Vidyalayas. Jawahar Navodaya Vidyalaya, Mysore, Karnataka. With a view to strengthening the roots of democracy, inculcate healthy habits of discipline, tolerance of the views of others and to enable the student community to know something about the working of Parliament, the Ministry of Parliamentary Affairs have decided in consultation with the Navodaya Vidyalaya Samiti to introduce a scheme of National Youth Parliament competition in Navodaya Vidyalayas throughout the country and to hold annually competition of ‘Youth Parliament’ among the Navodaya Vidyalayas. The Competitions is held in two phases - first at Regional level and then at National level. The Competitions at regional level is held among the Navodaya Vidyalayas of the respective regions as are sponsored for the Competition by the Navodaya Vidyalaya Samiti from that region. This is conducted under the supervision of Navodaya Vidyalaya Samiti authorities. The Competition at National level is held among the Navodaya Vidyalayas which stand first in their respective regions in the regional level competitions. Based on the evaluation conducted by a team of judges consisting of an MP/Ex-MP, Officer of the Navodaya Vidyalaya Samiti and Ministry of Parliamentary Affairs at the National level a merit list to declare national winners are drawn. The Youth Parliament Initiative by Ministry of Parliamentary Affairs is a commendable step towards making the youth aware of the parliamentary system in the country. If your Navodaya Vidyalaya has been organising Youth Parliaments, post your experiences and suggestions below, If your school does not have it yet, mention about it to your Principal and You might be the National Winner of 15th National Youth Parliament Competition ! Navodaya Entrance Exam is usually conducted in the month of February for the selection of new entrants to Navodaya in Class 6th. This year has been an year of worries for the NVS and the Entrance Exam has not been conducted till 5 months later than the scheduled time ! Read out to find the reason behind the delay and its solution. The root cause of problem for the delay of the Navodaya Entrance exam is Right to Education Act of Govt of India. The Right to Education (RTE) act advocates Education as a Right of Every Child and of course that is a very good thing towards the prosperity in India however the clauses which does not satisfy the functionality of Navodaya policy are that there should be No screening test and 25% reservation for economically weaker sections. As for the contentious issue of no-screening, NVS contended that these schools were primarily meant for meritorious children and admission was done through a tough entrance examination conducted by CBSE. "Giving admission without entrance test will dilute the quality of Navodaya Vidyalayas," a source said, adding that in the past 25 years these schools have done extremely well academically. After a delay of 5 months, the law ministry has finally said that these schools can be exempted from two key provisions of the Right to Education Act. The Sources in the Navodaya Vidyalaya Samiti (NVS) have said that this delay in desicion has already put the new sessions much behind the schedule and there will be no further delay in cunducting the Entrance Exam from their side. The Navodaya Entrance Exams are now scheduled to be held on 10th July 2011 all over India. Our sources in NVS commented that this is an ommision on the part of Ministry of Human Resources and Development in proper implementation of the RTE Act. The thing here to be noted is HRD Ministry is the same ministry responsible for the development and policy implementation in Jawahar Navodaya Vidyalayas however they themself have reportedly ignored the policies of Navodaya Vidyalaya while ammending Right to Education Act (RTE). HRD officials however have pointed out that while NVs have waited and even delayed the admission process because of the RTE Glitch, other government-run schools like Sainik Schools of the defence ministry and Pratibha Vidyalayas of the Delhi government have gone ahead without seeking any clarification on whether they are exempted from the RTE Act. Now that finally the isuue have been settled, its a rejoice time for lacs of students who seek admission to Jawahar Navodaya Vidyalayas (JNV) each year. The teachers are similarly on war footing to adjust for the loss of the months from the academic year. Was this information helpful ? Use the share buttons below to tell it to your friends.